Floor shaking incubators feature a unique, adjustable counterbalance weighting system to accommodate off-center loads and varying capacities and stroke lengths. An adjustable orbit allows users to change the rotational stroke from vigorous shaking to gentle shaking to accommodate different types of cells, and to provide maximum oxygen transfer. 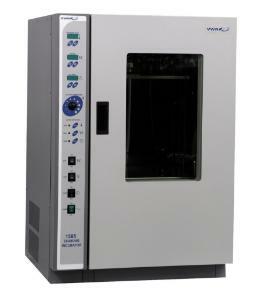 Model 1585 has a small footprint and its chamber provides shelf space for static incubation during shaking. The 1585R refrigerates via a 1/6-horsepower motorized compressor (produced without CFCs/HCFCs). 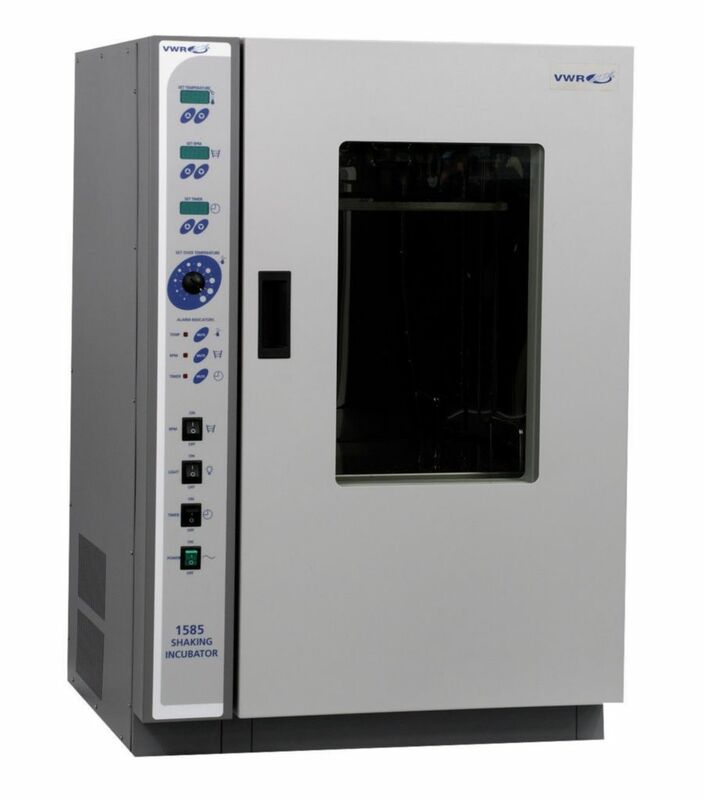 Standard features include microprocessor control, load flexibility, shaking platform (included), and independent controls for temperature, timer, and shaker. All major functions (temperature, RPM and time) have alarms that alert the user to deviations from set parameters. Overtemperature protection is provided by a safety thermostat. Digital keypad operation offers the ability to calibrate the temperature controller to a reference thermometer. To better support the load over years of constant use, four load bearing positions for optimal weight distribution are provided.